OFFER GOOD FOR DELIVERIES FROM MARCH 1ST TO MAY 12TH. 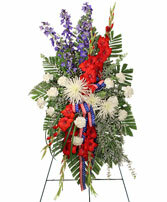 Shop and send brilliant patriotic flower arrangements to Fort Worth, TX. Red arrangements represent valor and hardiness, white purity and innocence, and blue vigilance, perseverance, & justice. 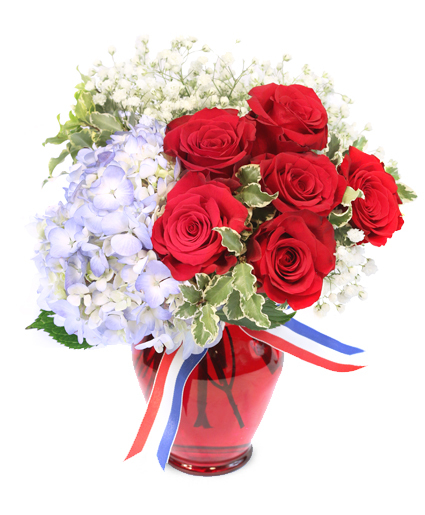 Send a Patriotic flower arrangement today! Shop and send funeral flowers a lovely floral expression of your deepest sympathy and condolences. funeral flowers, sympathy flowers, funeral flower arrangements, flower arrangements for funeral, funeral flowers delivery, sympathy flowers delivery All White Sympathy Flowers. White & Blue Sympathy Flowers. Lavender & Purple Sympathy Flowers. White & Pink Sympathy Flowers. White & Red Sympathy Flowers. Bright Sympathy Flowers. Pastel Sympathy Flowers. White & Yellow Sympathy Flowers. casket flowers, casket sprays All White Sympathy Flowers. White & Blue Sympathy Flowers. Lavender & Purple Sympathy Flowers. White & Pink Sympathy Flowers. White & Red Sympathy Flowers. Bright Sympathy Flowers. Pastel Sympathy Flowers. White & Yellow Sympathy Flowers. Standing Funeral Spray - At FORT WORTH FLORIST, we design and deliver funeral flowers that beautifully convey your expressions of sympathy and serve as a lovely memorial to the deceased. All White Sympathy Flowers. White & Blue Sympathy Flowers. Lavender & Purple Sympathy Flowers. White & Pink Sympathy Flowers. White & Red Sympathy Flowers. Bright Sympathy Flowers. Pastel Sympathy Flowers. White & Yellow Sympathy Flowers. Shop Roses, Birthday Bouquets, Get Well Flowers, Holiday Flowers, Funeral Flowers, Sympathy Flowers, Tropical Flowers and Best Indoor Plants online for Same-Day Delivery Fort Worth. Local Special Event and Wedding Flowers Fort Worth Flower Shop LLC.